The 2018 Industry Future Council (IFC) report will be available mid-April. 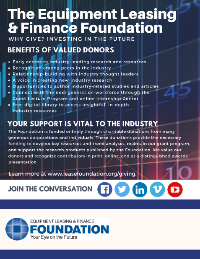 The IFC is comprised of a cross-section of selected industry executives who explore current issues, trends, and the outlook for the future of the equipment finance industry. 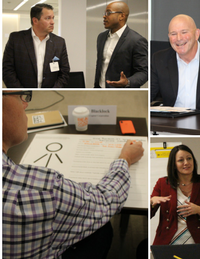 This year, the focus was on the workforce of the future. 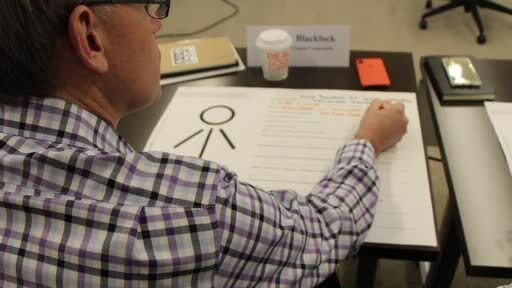 Watch the video to hear highlights from the convening. 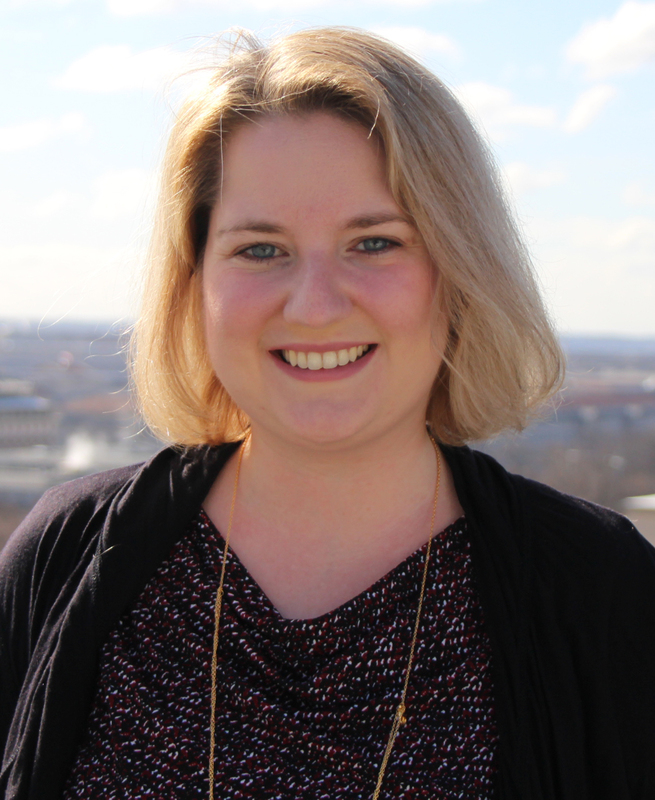 Stephanie Fisher has a background in program management and volunteer engagement through her experiences at the Council for the Advancement and Support of Education (CASE) and the American Veterinary Medical Association. She has had oversight of all CASE award programs from application process through recipient recognition, as well as recruited and stewarded hundreds of volunteer CASE member judges through reviewing thousands of award entries annually. Primary Foundation responsibilities include oversight of committee meetings, coordinating research grants, and managing volunteer engagement and special projects, including academic programs. She has a B.A. in Public Communication and Political Science from American University. 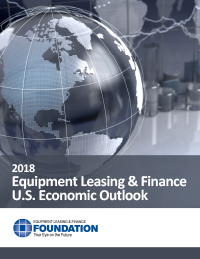 Released mid-April, the Q2 update to the 2018 Economic Outlook highlights key trends in equipment investment and places them in the context of the broader U.S. economic climate. Once released, you can access a free copy from the Foundation's online library.